Wondering what blooms you can give that will last your flower recipient more than couple of days? There are several. Giving flowers often takes a lot of time and money, so it’s nice to think that your gift will provide pleasure for someone for longer than 48 hours. Of course, your giftee will likely remember your thoughtful deed after the flowers are gone, but it’s still fun to find flowers that might live for a week or longer. We’ve put together a list of some flowers that are known for living in a vase for up to four weeks. Many of them can last for a year or more, if planted in a garden. 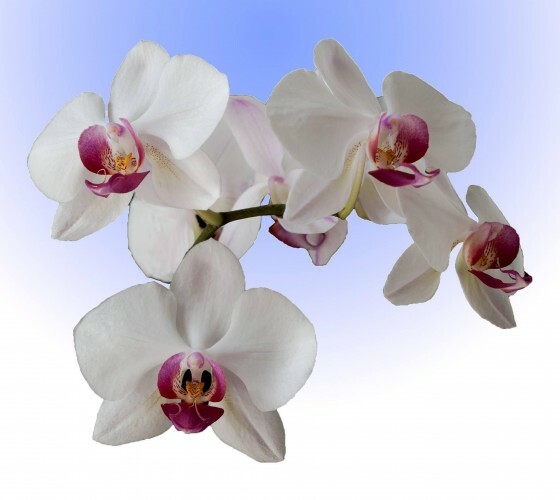 Orchids are exotic flowers that look stunning and have an impressive life span. Most orchids can live for up to three weeks in a vase, but cymbidiums are especially robust. 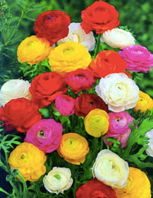 Their petals are less prone to damage, so give these flowers to someone special if you want to offer blooms that will sustain life for nearly a month (or many months when placed in the ground). A word of advice, your giftee should change an orchid’s vase water every two days to keep it living for a long time. There are a few reasons why carnations are a popular flower for gifting. They’re cheery and colorful, budget-friendly, and long lasting. Carnations can live for two to three weeks in a vase. To keep them thriving for this long, it’s best to pluck off petals or leaves that would appear below the water line and pick off dead petals frequently. It’s difficult to beat a chrysanthemum when it comes to flower longevity. These blossoms can last up to 30 days! They demand clean vase water every day, though, which is something your gift recipient might want to know about. We love chrysanthemums because they live a long time and they come in many gorgeous colors. It’s easy to send all of these long-lasting flowers to someone by using a local brick-and-mortar florist or an online floral retailer. All of these flowers are abundant throughout the year, so you should be able to gift someone with them for any occasion. Enjoy sending these long-lasting flowers, and while you’re buying them, consider picking up some for yourself. Wondering what blooms you can give that will last your flower recipient more than couple of days. There are several.Giving flowers often takes a lot of time and money, so it’s nice to think that your gift will provide pleasure for someone for longer than 48 hours. Of course, your giftee will likely remember your thoughtful deed after the flowers are gone, but it’s still fun to find flowers that might live for a week or longer.